Does your Palm Harbor, Florida, home feature a sparkling pool? Keep your waters warm and comfortable for an extended swimming season with the efficient functionality of a pool heat pump. This technology is a smart alternative to a gas heat pump and a refreshing change from a brisk unheated pool. 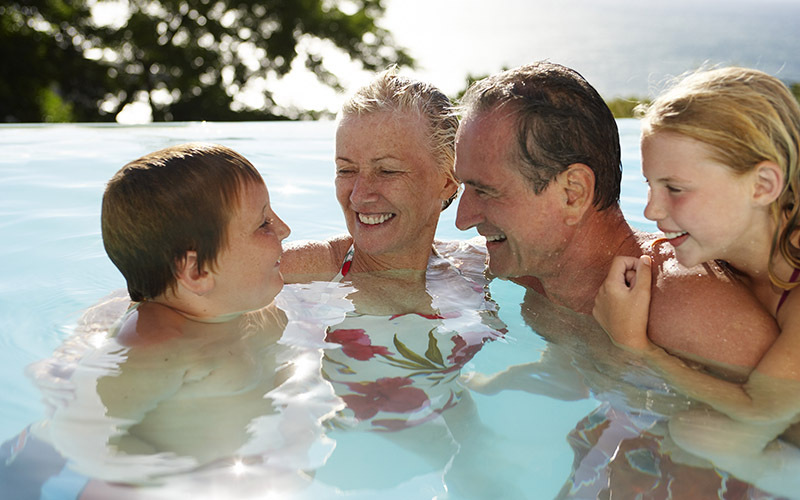 Learn how a pool heat pump can affordably transform your swimming experience. Heat pumps transfer heat from one area to another. In the home, they either pull heat out of the air and transfer it outside, or gather heat from the exterior air and use it to warm the house. A pool heat pump works in the same way. It extracts heat from the outdoor air and pulls it into your pool water so you can take a soothing dip. Heat pumps of all kinds tend to be more efficient than their gas-fueled counterparts. They utilize existing heat that’s already present in the environment and simply move it from one place to another. Since these systems don’t have to generate heat of their own, they typically use less energy. While a gas pool heater may offer 80- to 90-percent efficiency, your pool heat pump can provide a stunning 100-percent efficiency, producing more heat energy than the operational energy it consumes. It’s important to consult with a professional technician before purchasing a pool heat pump. Make sure your heat pump is properly sized for your pool. To size your heat pump right, your technician will consider how large your swimming area is, your preferred pool temperature, and the average temperature in your area during the coldest swimming months. This will help you choose a unit that’s powerful enough to keep your pool warm, yet small enough to fit easily within your budget. If you’re interested in adding a pool heat pump to your swimming space, give Advanced Cooling Systems a call today at 866-827-7662. We’ll help you find the right installation for your home.